Our ski rental shops in Valmeinier 1500 & 1800 are perfectly located in the centre of the resorts and offer you a wide range of ski & boarding equipment for rental or purchase. Our friendly and knowledgeable team in both shops can offer advice on all equipment. Skiing or boarding style: You are looking for comfortable and forgiving skis that provide a feeling of security whilst giving you a great feeling. You ski at a moderate to fast speed on the blue and red slopes and you know how to make sliding turns. Skiing or boarding style: You ski with confidence on the red slopes. You know how to ski at a moderate and controlled speed and you are capable of adapting your turns to the type of terrain on which you are skiing. You are getting to know how to ski on powder snow and the early spring snow. Once reserved you'll find your ski & board rental equipment easy to collect on arrival in resort. Collect your ski / board equipment from 9am on Saturday for no extra charge and avoid the rush. 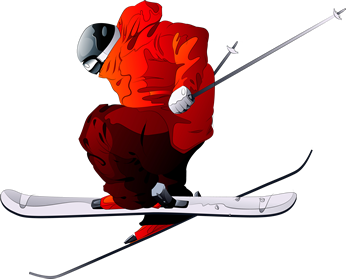 Ski for the extra day or we'll keep your ski equipment for you until your accommodation is ready.